Better hearing and a better quality of life can be yours for many years with the help of the right hearing professional. At Geneva Hearing Services, we pride ourselves on developing long-term relationships with our patients. Relationships based on unsurpassed personal service that begins the first time you walk through our doors and continues long after your initial appointment. Call us today at 630-360-8689. To be the experts for hearing healthcare in our community by developing strong patient relationships through compassion, exceptional customer service and community education. Geneva Hearing Services believes in empowering our community to connect to the people and activities that enrich their lives by ensuring they are hearing at their very best. 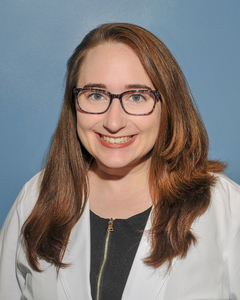 Dr. Maria B. Morrison is a licensed audiologist who graduated from Pennsylvania College of Audiology in December 2006 with her doctorate degree. Maria is one of the few audiologists in the state who is clinically trained and able to provide TRT (Tinnitus Retraining Therapy). TRT is a method of treating tinnitus (noises in your ears or head). Maria’s clinical experience includes a major metropolitan hospital, a private ENT (Ear, Nose and Throat) practice and a community hospital. 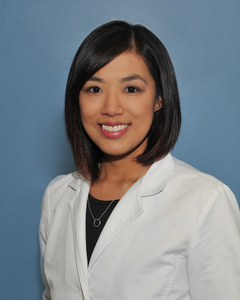 Maria’s compassion toward her patients and her vast understanding of the auditory systems allows her to provide excellent care to her patients. She has extensive knowledge of the auditory system, disorders and the treatment available. Rich Bicbic is a licensed audiologist who received his Master’s degree in Audiology from Northern Illinois University in 1996. He has been a Senior Audiologist at a major metropolitan hospital and a community hospital. Rich has also been clinical manager and area sales manager for several private practice audiology clinics. Throughout his career, he has provided comprehensive diagnostic testing and rehabilitation services to hearing-impaired patients. Rich enjoys working with patients and their family members to improve their communication abilities and quality of life. He is fluent in American Sign Language and has worked extensively with people who utilize manual communication. Dr. Lia Ziemann received her doctorate from the University of Wisconsin – Madison in May 2016. She spent her final year of externship at the Mayo Clinic in Mankato, MN. She has gained experience in working with both pediatric and adult patients. Dr. Ziemann earned her Council for Accreditation in Occupational Hearing Conservation certificate. 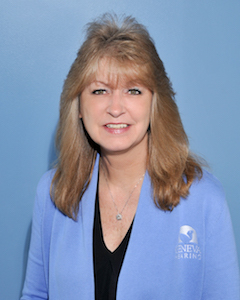 She enjoys educating patients and the community about hearing loss and hearing preservation. Dr. Brittany Evans is a recent graduate of Northern Illinois University’s Doctor of Audiology program. She completed her 4th year externship at Presence Resurrection Medical Center where she gained experience in adult and pediatric diagnostics and amplification in addition to specialty work with patients who suffer from decreased sound tolerance (i.e. misophonia and hyperacusis). Her capstone research in Hidden Hearing Loss was featured as a poster presentation at the 2018 American Academy of Audiology national conference. She comes to the field through her work in Deaf Education after three years at a residential school for the deaf where she learned sign language. Dr. Evans values a patient centered approach to her clinical decision making and is eager to grow with the Geneva Hearing Services team. Lydia is an extremely positive and energetic person who will always greet you with a smile. Mother of of three wonderful children and blessed with four grandchildren, she enjoys spending time with family and friends and in the summer can be found enjoying the outdoors at Turners camp. She even enjoys playing a little guitar. Her career life experiences have been unique over the years. She has worked in the Insurance and Investment business 15 years – Owned a restaurant – and currently also conducts Estate sales. Lydia enjoys working with her Daughter Dr. Maria Morrison, owner of Geneva Hearing, and is so proud to be a part of their success. Amy has been working behind the scenes at GHS since it opened. She enjoys spending time with her family. When she is not busy with her children’s activities she and her family enjoy movie nights at home and playing with their dog. Terry has lived in St. Charles all her life with her husband. She has two wonderful boys whom she adores and a grand-daughter from her step-son. As an animal lover, she has a labradoodle and two cats. Her passion is gardening and she loves to weed, prune and plant new flowers.